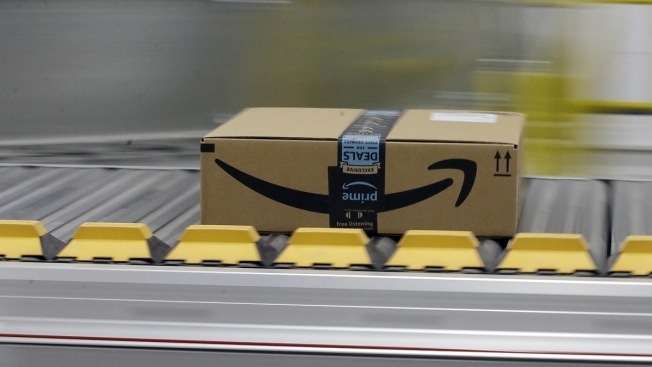 In this Feb. 9, 2018, file photo, a box for an Amazon prime customer moves through the new Amazon Fulfillment Center in Sacramento, Calif. Amazon is seeking to woo more low-income shoppers by offering a discounted Prime membership to those on Medicaid. The online retailer already offers a cheaper monthly membership to people who receive food stamps or other government assistance through Electronic Benefit Transfer cards. Besides the free two-day shipping, Prime members get other perks, such as access to Amazon's video and music streaming services.